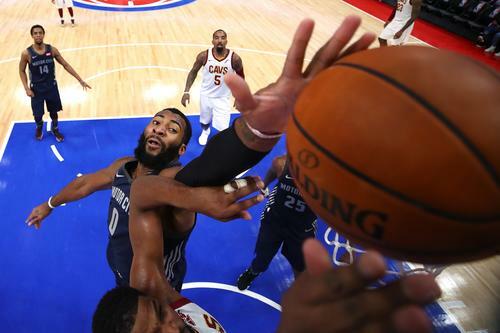 It’s no secret Andre Drummond can rap with the best of ’em, as in the cream of the NBA crop. The Detroit Pistons’ center really held his own on “Clout,” a SoundCloud submission you likely never heard, but if you did: you know what i’m talking about. Since then, Drummond has done radio bits where he’s exercised his repertoire as a rapper. The “Clout” track was done with Tailz, a Connecticut rapper he met while he played college hoops at UConn. Then as a pro, he linked up with Detroit rapper Nate Nixen for a freestyle session in an underground parking garage. The results speak for themselves. Unless of course you follow his Twitter feed regularly, you wouldn’t have seen this coming. His debut EP titled Fyi features the Connecticut rapper that gave him a shot 6 months ago. The EP also features Mila J, Drew Parks, Snapp Dogg, and at least one track where he braves it alone. The opening number, figuratively titled “Gf,” isn’t the bedtime story he would have read Jennette McCurdy, but then again, they aren’t on the best of terms after falling out unceremoniously over the phone. What do you make of all these NBA ballers trying to spit bars? Stream Drummond’s EP right here, right now.